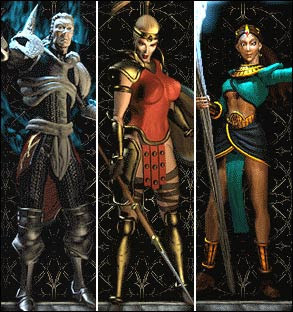 Last week Hubby introduced me in playing Diablo II. At first I was hesitant to play the game since I find it boring (that's what I always thought on Hubby's PC games) but I can't believe that I will actually enjoy the game! At first Hubby and I are playing together (my laptop and my brother's laptop are hooked up together through network) then Hubby will coach me on what to do and sometimes his the one doing the adjustments if my character on the game gained a level and a new skill. These past few nights I find myself playing this game on my laptop while Hubby is busy watching me and coaching me...hehehe. He couldn't believe that I genuinely enjoy the game because he knew from the very beginning that I'm not a big fan of his computer games but this one is definitely an exception! I should buy the Lord of Destruction which is the expansion pack of Diablo II. Hubby on the other hand is waiting for the release of Diablo III. hahaha...sis, na-addict ako nyang Diablo before. yun pa ata yung pinakaunang version.